Outdoor Living Collection 2019 now available! Additional SALE items on Patio Furniture too. SAVE NOW with Instant Rebates! Feed the Birds Now for Great Spring Activity! PLAN FOR SPRING! We Have All Your Seed Starting Supplies! 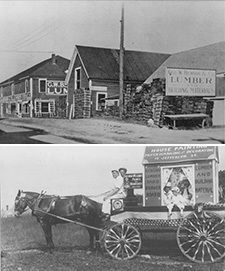 In 1913, George Washington Benson started with a simple vision – a dream to start his own business and offer lumber and coal to the local folks in the immediate community and surrounding towns. Today, more than 100 years and four generations later, the family continues his vision, with the same time-honored tradition, but with a full spectrum of new products and tools to make home improvements and commercial building easier. Most of our staff are long-time employees, so you know you can get answers to your questions right away. Our team can help you with anything from glass, window and screen repair all the way to panelized framing systems and engineered floor and truss services. 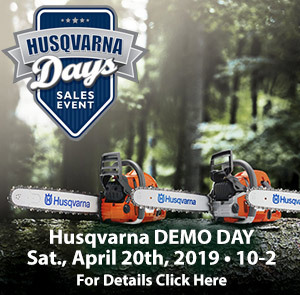 You’ll also enjoy browsing our power equipment, tools, and the lawn and garden departments. You can visit our beautiful expanded nursery, with delivery and installation services. Or if you just need power equipment repair, Benson Lumber & Hardware can get it working again. Have an active lifestyle? Check out our Ski & Sports shop with bikes, canoes, skis, snowboards and more!